A Georgia father has received accolades for grabbing his legally-owned firearm to protect his family and friends when a man stripped naked and came at them in a city park. 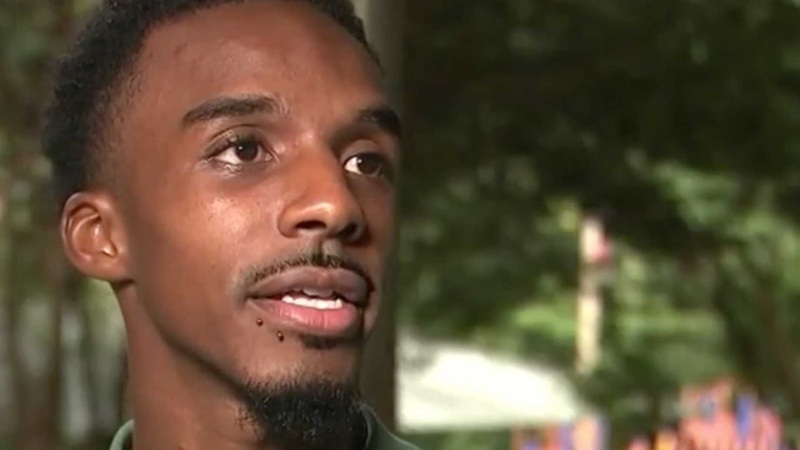 Tae Lovelace told WSB-TV that he and his family were at a church event to feed the homeless on July 22 in Trailblazer Park in Newton County, when a man wearing only his underwear approached them. Lovelace said the man then pulled down his underwear and exposed himself to the children. The naked man was later identified by police as 21-year-old Josten Meeler, WSB reported. Lovelace told the man to leave multiple times. He said there were lots of other families with children at the park in addition to his own. "Not only did he come back naked, he ran directly up to my kids and the mother of my child, and they were frightened," he said. "I asked him, 'Would you please leave the scene you're causing trouble. You don't even have on any clothes,'" Lovelace said. The naked man left the park at about 5:30 p.m., but Lovelace said he returned a few minutes later and began acting aggressive, the Ledger-Enquirer reported. The police report said Meeler had reportedly been “running towards several children with his arms open and appeared to be grabbing himself,” according to The Covington News. “He was already touching people before he was naked so when he came up running directly toward the kids, that’s a problem. It could’ve went sour if I didn’t have anything to defend myself. I didn’t know what he was capable of doing,” Lovelace said. At that point, Lovelace grabbed his gun. "It's a family event so everybody was pretty much frightened so at that point in time, I go and get my firearm," Lovelace told WSB. He told his grandmother to call 911 and chased Meeler through the park. The suspect fled and jumped into a pond to escape the irate father, but Lovelace caught up and was able to hold Meeler at gunpoint until police arrived. That’s when he began filming the incident on his cell phone, Lovelace told WSB. The video showed Lovelace holding Meeler at gunpoint as the naked man tried to conceal himself in a pond. In the video, Lovelace ordered the man to come out of the water, crawl on the grass, and not move, the Ledger-Enquirer reported. That’s when Lovelace said Covington police arrived and pointed their guns at him and told him to drop his weapon. He complied. "While the cop has his firearm toward me, the guy gets up and runs away again and jumps in the river," Lovelace said. Covington police captured Meeler at the scene and arrested him, WSB reported. He was transported to Piedmont Newton Medical Center by police before he was taken to the Newton County Jail, The Covington News reported. Meeler has been charged with child molestation, public indecency, and being under the influence of alcohol or drugs. "Had I not been licensed to carry at that moment, who knows what this guy could have done to my family or any of the other families that were here," Lovelace told WSB. “I’m a family man. I had to protect my family by all means. Having my firearm and being licensed to carry definitely came in handy that day,” he said.